We will be celebrating the Jewish New Year in about a month. This time of year always gets me in a special beginning mood. I get the motivation to start new projects, make changes around the house, make resolutions for the new year ahead and make plans for my life, my business and myself. This layout was inspired by this mode of new fresh things. I was thinking of all the new things this coming year will bring and I remembered I had an old photo of the best beginning ever…a new baby! 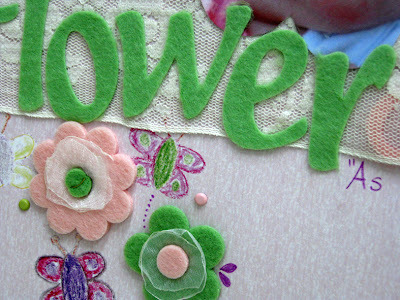 This is the ultimate beginning of them all, a new person, a start of a new life. This photo is of my best friend's daughter, a daughter she has been waiting for a long time and that has brought her new happiness and love. 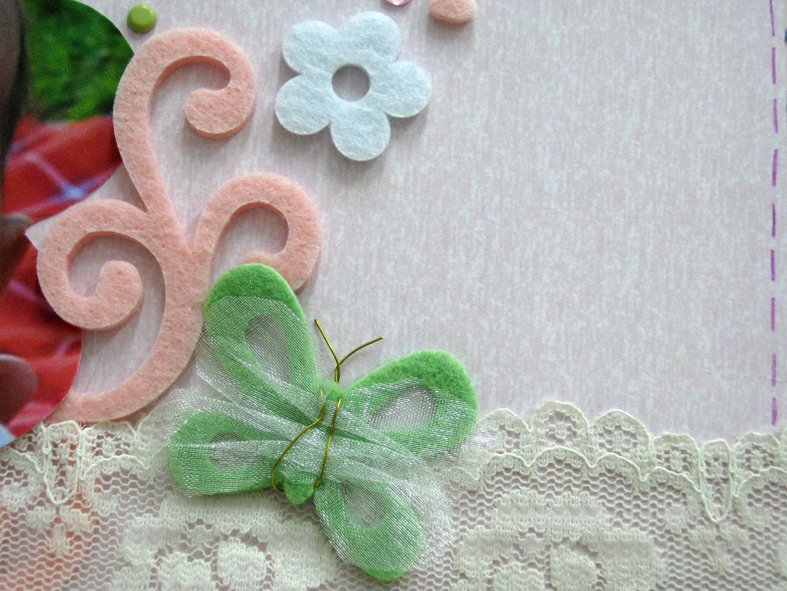 In this layout I've used felt shapes to give it a soft, gentle, baby feel. I also added lace and tulle that emphasized that soft cuddly feeling. 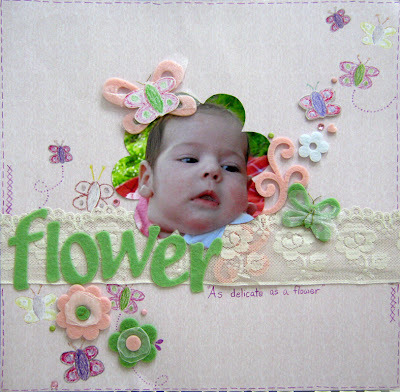 I cut the photo into a flower shape to match the title and embellishments.